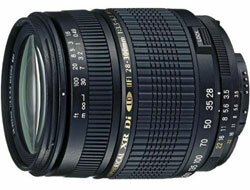 Photozone has reviewed the ultrazoom lens Tamron 18-270mm f/3.5-6.3 Di II VC LD Aspherical IF Macro. The lens got an impressive 15x zoom and optical image stabilization, but it remains to be seen if it is able to produce good pictures. Photozone tested the Tamron lens on a Canon EOS (APS-C) camera (Canon EOS 50D to precise). Photozone ends up giving the Tamron lens a rather avergae rating as the lens is not able to produce the best pictures on this planet, but what can you expect when you have such a long zoom range. The build quality is ok, you get some chromatic aberrations and there is not that much vignetting, but on a high resolution camera such as the Canon EOS 50D DSLR (15 megapixels) you get some problems with the image quality. Overall the Tamron 18-270mm f/3.5-6.3 Di II VC LD Aspherical IF Macro lens seems like a very convenient lens, but it does not produce pictures of highest quality. Read the full review of the Tamron 18-270mm f/3.5-6.3 Di II VC LD Aspherical IF Macro lens here. SLR Gear has reviewed the standard superzoom lens from Sigma, the Sigma 70-300mm f/4-5.6 DG APO Macro lens. The 70-300mm seem to be a zoom range that almost all lens manufacturers produce and it is very handy range for wildlife photographers. SLR Gear ends up giving the Sigma lens an ok rating due to the fact that the lens is able to produce good picture if you stop it down to f8 and smaller apertures. At bigger apertures the lens has a bit of corner softness. The Sigma 70-300mm f/4-5.6 DG APO Macro lens seems like a cheap alternative to other brands if you are on a budget. Read the full review of the Sigma 70-300mm f/4-5.6 DG APO Macro lens here. Buy the Sigma 70-300mm f/4-5.6 from BH Photo. DIWA Labs has tested a super zoom lens from Tamron, the Tamron AF 28-300mm f/3.5-6.3 XR Di LD Aspherical (IF) Macro lens. They tested the Tamron lens on a Canon EOS 40D camera body and the results were not as good as the best lenses in this category, but the lens is pretty cheap and if you use it at medium f-stops it is able to produce good results. Read all the tests of the Tamron AF 28-300mm f/3.5-6.3 XR Di LD Aspherical (IF) Macro lens here. 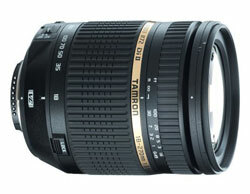 Buy the Tamron AF 28-300mm lens from BH Photo and get free shipping. 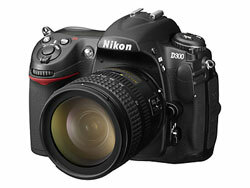 DIWA Labs has tested three Nikon and one Tamron lens on the Nikon D300 DSLR. The three Nikon lenses are AF-S DX Nikkor 17-55mm f/2.8G IF ED, AF-S DX 16-85mm f/3.5-5.6G ED VR and AF-S Micro Nikkor 60mm f/2.8G ED. 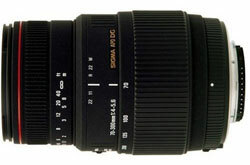 The Tamron lens tested was the new Tamron AF 18-250mm f/3.5-6.3 Di II LD Aspherical (IF) Macro. Read the full tests here.